New research in mice has unlocked clues as to how MDMA — also known as the rave drug Ecstasy — can treat symptoms of post-traumatic stress disorder (PTSD). Now, a study in mice has found evidence that MDMA helps bring about fear extinction by acting on well-defined brain regions and a specific protein. 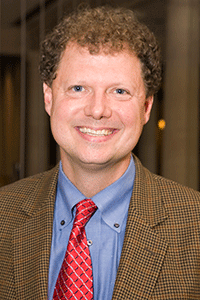 The research, published September 15 in Translational Psychiatry, was led by first author Matthew Young, Ph.D., of Emory University. The team included other Emory faculty: Leonard L. Howell, Ph.D.; 2014 NARSAD Young Investigator grantee Raúl Andero Galí, Ph.D.; and Scientific Council Member and 2002 and 2005 Young Investigator grantee Kerry J. Ressler, M.D., Ph.D. Following a conditioning model named for Ivan Pavlov’s famous experiment — when the Russian researcher conditioned a dog to associate the ringing of a bell with food — the researchers trained mice to associate an auditory tone with a painful shock. The sound of the tone frightened the mice, making them freeze in place. To extinguish that fear, the mice later heard the tone many times without being shocked, so they no longer froze up at the sound. Before going through this fear-reducing training, some mice were injected with low MDMA doses. These MDMA-treated mice froze less frequently at the tone, 24 hours after the experiment and in some cases even after 10 days. This finding builds on previous work showing that MDMA combined with therapy can produce long-term improvements in PTSD symptoms, by suggesting that MDMA may achieve these improvements by enhancing fear extinction. The researchers also found less skittish reactions from the mice after injecting MDMA into two brain regions associated with fear extinction: the prefrontal cortex, which regulates emotion, and amygdala, an emotion center in the brain. Importantly, the injections to the amygdala were no longer helpful at the point at which researchers found it interfered with the activity of BDNF, or brain derived neurotrophic factor, a protein that supports existing and emerging neurons in the amygdala and other brain regions. The researchers say it is important to identify the exact mechanisms through which MDMA enhances fear extinction, so other drugs can be developed to mimic these mechanisms without running the well-known risks of abuse and toxic side effects posed by MDMA in its street-drug form, Ecstasy.